1. They branded the title. 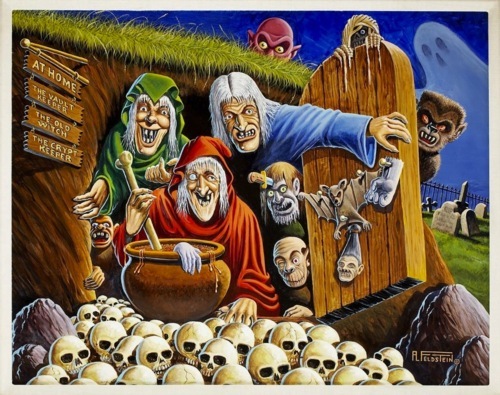 The Crypt-Keeper opened 'Tales From The Crypt', The Vault-Keeper had the lead in 'The Vault of Horror' and The Old Witch served first course in 'The Haunt of Fear'. 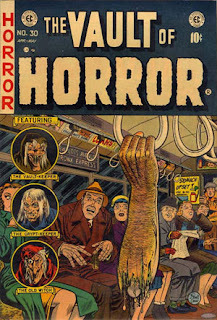 A 10-year old could easily identify an EC Horror comic simply by the host (if not the artist). 2. They opened the story with the title, usually flavoring the plot with alliteration. 3. They closed the story with groan-inducing puns. I'm glad there are still some people out there as in love with these classics as I am.